One of the best tools to create an online advertising campaign is by using “Google AdWords” for restaurants as these campaigns can be customized at every level. If you are a restaurateur, you can target your ads to people who are located in and around your area. This can be done easily using Google’s geographic & demographic settings and adjusting the distribution of your ads. An important key factor in advertising and marketing is ‘targeting’ the right people as it results in a higher level of success. If you are running a restaurant with a limited budget, marketing your restaurant can be tough. The best way to get your ad in front of potential customers is through Google’s Search Network. Your ad will be displayed at the very moment when people actively start searching for a place to eat. The keywords are the words/phrases that people enter when searching for something. You insert into AdWords the list of keywords that are relevant for your business and Google displays ads to those that are searching for your selected terms. Needless to say, building the list of keywords is an important step toward a successful campaign. Stumped for keyword ideas? 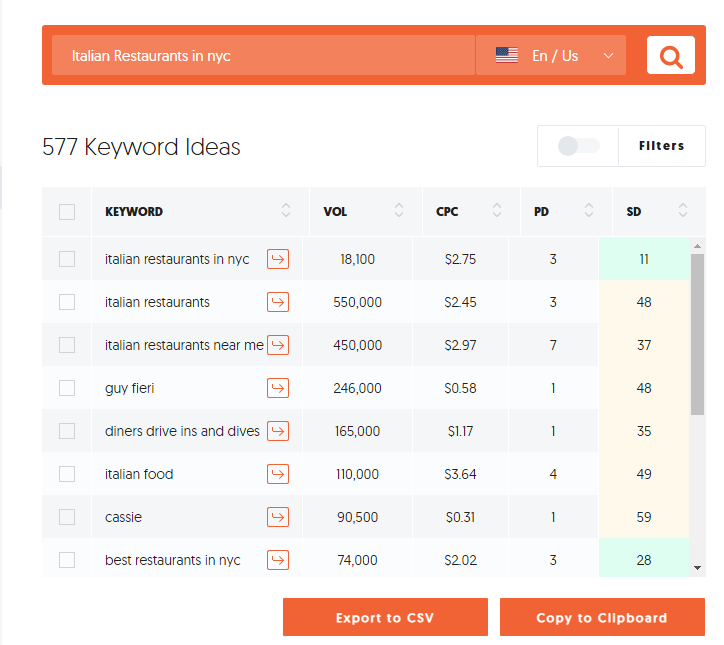 Get some quick help and inspiration for your PPC strategy for restaurants by using the Keyword Planner. Keyword Planner: Go to your AdWords account and click tools. The tool will suggest a list of keywords. The keywords are based on phrases, categories or the website of your restaurant. In addition to using the Keyword Planner, Ubersuggest can be an excellent website to help expand your PPC strategy for restaurants. Ubersuggest is a tool which compiles a list of longtail keywords based on the main keyword you insert. Use your Webmaster Tools to find out which specific keywords customers are using to enter your website. Choosing the right keywords is one of the most effective ways to find new customers. Once you are ready with a list of keywords, the next step is to choose the best ones to use for advertising. Again, the Keyword Planner comes to the rescue. Copy the list of keywords under “Get search volume data and trends.” Do not forget to select the region you are targeting. Once this step is done, it will show you the search volumes, the competition level and the suggested bid by Google. Choose the best quality keywords that you can afford as well those which drive traffic. If your budget is limited choose longtail keywords that have less competition and a smaller CPC. You need to find a few longtail keyword to get good search volumes. 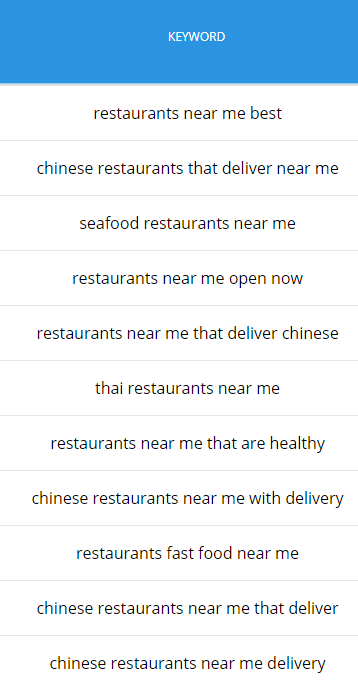 But don’t worry, these keywords will perform well as they are very specifically targeted to your Google AdWords for restaurants campaigns. The term “broad match” may be unfamiliar to you, but this type of keyword has its own place inside AdWords. Whenever people search for a synonym or phrase similar to yours, broad match lets your keyword trigger so that your ad will appear to users. This works well for some, but for others it doesn’t. If you find that your broad match keywords aren’t generating results, you may see an improvement in your conversion rates once you start eliminating some of these broad match keywords with high cost but low conversion rates. Keep a close eye on what’s happening with your campaigns and start experimenting. This eventually will lead you to the best set of keywords for marketing your restaurant. Open your AdWords account and click on Campaign in the dashboard. Now click the “+” button. Based on your own success metrics, select a goal for your campaign. You can choose any action such as a phone call, form filling, or even an email sign up. When you choose goals, you can see that the AdWords itself provides recommendations for settings, so that you can meet your goals. If your campaign doesn’t have a goal, then you can access all features of a search campaign. This can benefit seasoned advertisers as you’ll have a bit more flexibility and can customize your opportunities. Once you select a goal for your campaign, you can now choose a name for your campaign. By default, AdWords will choose a name for you, but it can be smart to choose a name which best fits the theme of your campaign. Now, it’s time to select a location. 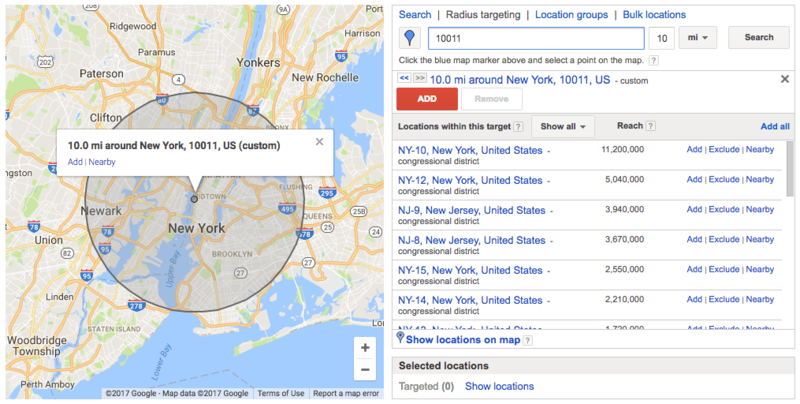 You can select multiple locations or target a radius around your location. The advanced features help you to add your targeting. In this location, add your city name, destination name, zip code and define a radius you want to reach. You can use this method when you own a physical business and want to drive the foot traffic of people as they enter your area, or to a certain radius around your neighborhood. Once you select the location as to where your ad should show up, your next step is to set up the budget and delivery method. Accelerated – Your budget is quickly spent which means it can be depleted before the end of the day. Conversions: The action can be tracked when people interact with your ad. E.g. : Sign up, Place an Order, Purchase an Item, etc. Conversion value: Each conversion’s financial worth. Now select your bidding strategy. You can either let the AdWords do it on your behalf, or you manually can set a bid for the clicks on your ad. Bid strategy is essential as it controls as to how much you pay for the users who interact with your ads. In an ad group, your bid is the most you will pay per click for ads. 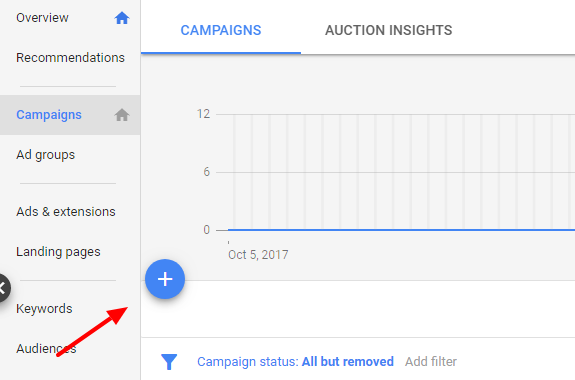 The manual option gives you entire control over your campaign, whereas the “automatically maximize conversion” option is an automated bid strategy. Here are a few things to consider, when you go for manual bid strategy. Bid adjustments generally allow you to show your ads either less or more based on the location, timing, and how users search. At times you will feel like increasing your bid as they are performing better. You can set conditions for which you want to increase your bid to a certain amount. Here are the different types of bid adjustments along with examples. Ad scheduling: Perhaps you really only need to bring in customers during lunch hours and want your ad to show up from maybe 10 a.m. until 2 p.m. Set up a campaign and use the bid adjustment to schedule your ads only during these lunch hours. Device: These days, ads perform better on mobile devices than on a PC or tablet. Set your bid adjustment to have more exposure to mobile devices. Do not forget that, if your bid adjustment is set both on a campaign as well as on ad group, the bid from the ad group is the one that will be taken into consideration. Location: The bid adjustment works well for location. 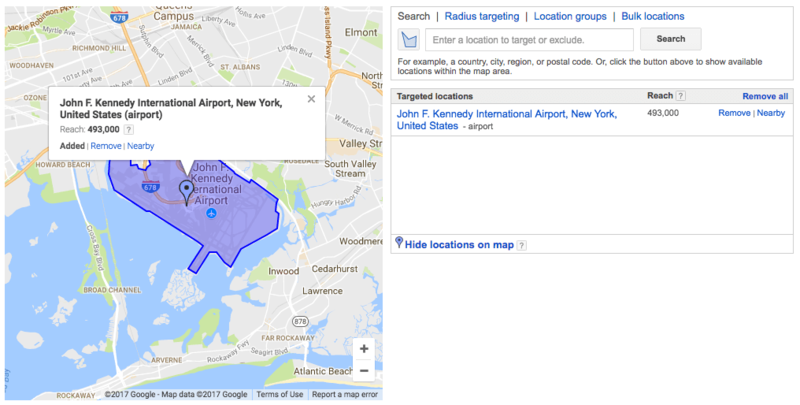 Try setting up a radius around your restaurant and increase the bids of your ad for people in and around your location. This adjustment may work best at the campaign level. To learn more about how to stop wasting the budget on AdWords for your restaurant –search for Google Ads Budget Optimization: Stop Wasting Your AdWords Budget 2018. You also can use negative percentages to decrease the chances of your ad showing up at the top of a search query. This might sound counter-intuitive, but it can provide you with a greater return on investment as you promote your restaurant with Google AdWords. Never target the first position. Practically speaking, if your ad is the highest position, your click rates will be high. So test the several different positions on a page. You might find miracles happening. At times you can get a more profitable result if you are in the second or third ad position. This can be an excellent PPC strategy for restaurants and other highly competitive businesses. It’s always good to keep an eye on your keywords and monitor their performance. There are times where you would feel that you should get rid of certain keywords as they don’t perform better. 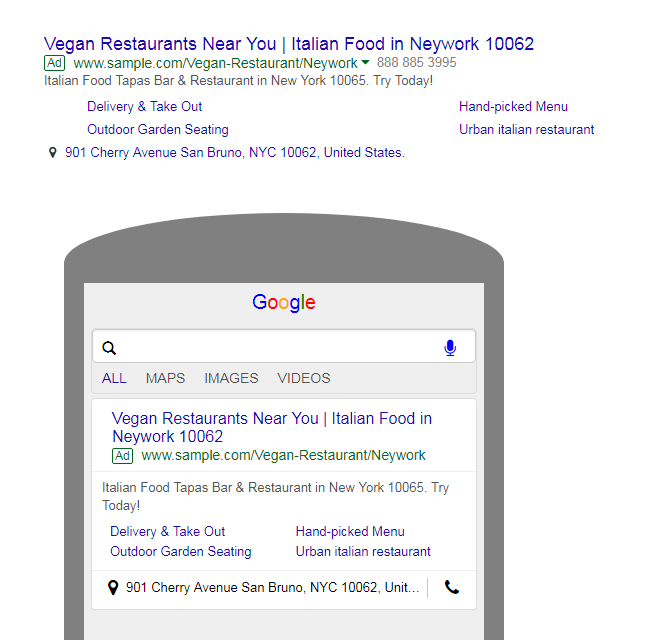 For example, assume that you are targeting “vegan restaurant near me,”but you want to get rid of displaying your ads for “vegan restaurant guide,” then use ‘guide’ as a negative keyword. 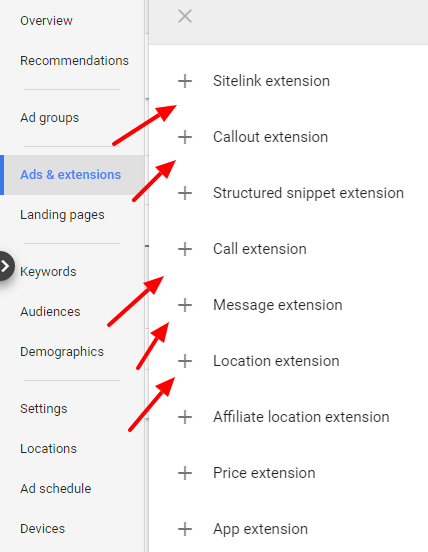 Ad Extensions help you in improving the quality score and performance of your keyword. The extension adds additional information for your ad such as location, menu, phone number, links to the website page and so on. Following our PPC tips for restaurants and running a Google AdWords campaign can boost your restaurant business quickly and improve your bottom line. But, it also takes work to optimize, maintain and test new ads to get the best results. 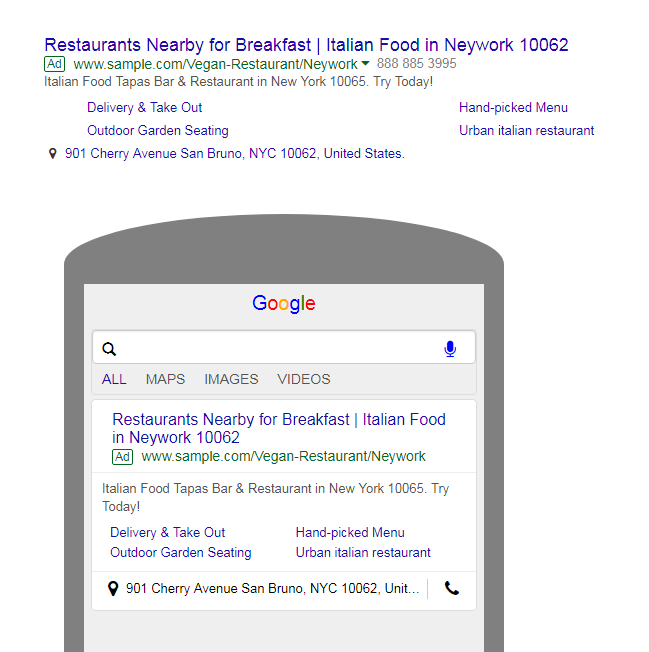 Unlike long-term strategies like SEO, you can see immediate success with AdWords advertising for restaurants. And while it’s not a marketing plan on its own, it is a great addition to a strong overall marketing strategy for your restaurant business.